With economic uncertainty and the changing political landscape, how can marketers adapt to seize opportunity? Developing effective strategies in uncertain times provides a good test for marketers. A challenge, I would suggest, that not only requires innovation but importantly a good dollop of old-fashioned common sense and the ability to keep your feet firmly on the ground. When we started our business in 2008 the timing could not have been worse, as we were gripped in the clutches of the global financial crisis. I remember an early discussion with one of our clients. He asked me what I thought are the key things that marketers need to be aware of when marketing in tough times. In response to this thought-provoking question I pulled together a list of things that I thought were important, based on my experience and the conditions of the market at the time. Without any religious parallels, but with the aim to elevate them in importance, I termed them ‘The 10 commandments of marketing in challenging times’. I’ve revisited them to see if they still hold up to the scrutiny of the market conditions we find ourselves in today. I’m glad I did because it made me feel enthused about the opportunities the future offers. While there are many important lessons to be learned from the past, I believe the current economic climate represents an outstanding opportunity for marketers to make a difference. If we can harness the monster of big data and meaningfully leverage the power of social channels, then I believe there’s never been a greater opportunity for marketers to secure their brand’s place in the future. There’s an old saying, ‘A principle isn’t a principle until it costs you something.’ This is not the time to waver. A brand’s core values should be closely embraced during tough times, despite the obvious commercial pressures for compromise. Whether it’s quality, manufacturing process, ingredients, time or service standards that are the brand’s DNA, everything must be done to uphold its integrity. Do not compromise quality, transparency, service or whatever it is that sets you apart. Transgressions will be remembered, but the context will not. Rigid adherence to the principles that define you will see them become even more entrenched, not only internally but externally too. An example of ignoring this commandment is the recent self-deprecating campaign from Vodafone in Australia. It illustrates the cost that brands may need to reinvest if they stray from core principles and let customers down. Vodafone customers deserved better service and for too long didn’t get it. A new CEO and more customer-centric leadership in their business is good news. However, customers have long memories and it will take a relatively long cycle of mobile phone contracts and a heap more trust before Vodafone gets back to the revenues and customer numbers they once had. Following the aforementioned Vodafone example, retaining existing customers will always be easier than acquiring new ones. It’s a truth that applies in equal measure to both suppliers and distributors. All too often relationships are sacrificed in the face of economic hardship. But this is an opportunity to create advocates for any brand, business, or company. Great relationships make for brand champions and when you’re in the trenches is the time to be building great relationships. I would argue that genuine partnerships and the emergence and importance of CSR initiatives in business today represent a tangible economic advantage and a win-win for all. Pinterest and its phenomenal growth is but another example of how the sharing of passions and ideas via a digital scrap book can so quickly galvanise a movement and embrace relationships through visual storytelling. Something not conceivable on this scale but a year ago. Disregard this commandment at your peril. This simple value equation is a wonderful reminder of what is really important. Value is not the same as price (despite what many would have us believe). Instead, ‘value’ is a function of ‘perceived benefit’ and ‘price’. Of course, a raising or lowering of price can directly influence value, but far more effective, and indeed more economically sustainable, is the manipulation of perceived benefit. While high-priced status brands are the most obvious manifestation of this, the underlying principle holds true for any consumer transaction. With all the data and insights we have at our disposal today there is no excuse for not understanding the value that customers want, and importantly, what they don’t want. Perceptions are all-important, and must be carefully understood. Discounting is not only defensive, but also self-defeating. Unless you ‘own’ the category, it is a battle that can’t be won. It might prop up the value equation in the short term, but will compromise long-term margins. Consider price in the context of the value equation, never in isolation. Price can be deployed strategically. Is there an opportunity to create a new market segment? Does an unmet need exist? Or how else might the value equation be reframed? The fast-food restaurant marketers of ‘golden arches’ fame are masters of using price as a strategy, and one that we are all perhaps too frequently made aware of. For example, their restaurant traffic strategy in summer months, and the weight of media spend behind the 99c ice cream suggests this price tactic supports an overall commercial strategic imperative in a simple and effective way. Though, as an aside, I wonder how long such tactics will remain palatable as the obesity debate unfolds and as a country we feature higher on the world obesity charts. Building the brand and generating sales revenue are not mutually exclusive objectives. Nor should they ever be considered as such. The combination of creative excellence and commercial relevance can’t be rivalled. In fact, brand equity and emotional engagement can powerfully defend higher prices in the context of the value equation previously discussed. Creativity, after all, remains the last and most enduring competitive advantage. A wonderful example of how creative and brand can provide incredible cut-through is The North Face and their campaign in China. The North Face is traditionally know as the brand that joined forces with the world’s finest outdoor athletes ‘to define the limits of what is humanly possible.’ They took a different approach in the Chinese market based on an insight that for centuries Chinese poets had found rejuvenation in nature. Today, as people find less time to enjoy the benefits of nature, particularly if you live in a big Chinese city, there is still a tangible desire to return to the outdoors to ‘refresh’ oneself. This insight led to the development of the provocative ‘Go Wild’ campaign. The campaign links a new ‘outdoors movement’ with deeply-held beliefs about how the power of nature can renew the spirit. Ads in the campaign include ancient Chinese poets, depicted in the traditional Chinese painting style, wearing North Face gear. I love this campaign, as it’s a big idea for a contemporary brand founded on insights about deeply-held cultural beliefs. Conventional wisdom suggests that defending market share in tough times will result in volume increases when the market upturn arrives. This is sound in theory but outmoded thinking today. The current downturn sees more data available than ever before, greater and increasing media fragmentation, the relentless rise of social media channels and growing question marks over traditional segmentation models. Never has there been a better time to not only redefine target markets, but also the nature and number of market segments that comprise them. Are you capitalising on the data available to you today? In turbulent times, our internal emphasis needs to be as important as our external one. Employees will typically be feeling uncertain, unsure and unsettled. Morale and motivation might be down with the corresponding impact on output. In some instances employees might be seen to be slavishly busy (often on the wrong stuff) just to look like they are indispensable. This is an opportunity to inspire, motivate and prepare for the future with the emphasis on constructive authentic outcomes. The saying, ‘People buy from people’ applies to sales and the fact that people work for people should also never be forgotten. Never will marketing budgets be under greater scrutiny than in tough times around the end of financial year and just prior to a general election. Like… right now. The inevitable pressure will be to reduce costs wherever possible and justify any investment decision. But beware of ‘top-down’ or ‘blanket budgeting’, such as an across-the-board percentage cut. This might result in certain projects, initiatives or even media channels no longer being viable options at all. Better to plan from scratch with an understanding of the funds available, than to attempt the delivery of an earlier plan without the required budget to do so effectively. Furthermore, while it follows that a revised plan and a reviewed investment strategy will demand a redefining of the expected returns. I would argue that this environment of budget austerity also presents the potential for unconventional solutions and strategic innovation. A great advantage of Australia’s generally strong economy is the safety it represents. However, some would argue that the downside is that it has merely created a more conservative and risk-averse environment that is stifling innovation. It is our jobs as marketers to think differently and challenge the norms with unconventional wisdom to deliver on the investment at hand. Panic can create tunnel vision, encourage poor decision-making and ultimately create more harm than good. All too often the rally cry is to ‘focus on the issue,’ at the expense of all else. I’m drawn to a war analogy that an old friend of mine told me. No environment is more likely to induce panic than the battlefield. But there it is for the soldier to ‘focus’ and the officer to consider all available options. The officer never carries a rifle, as it is not for him to be ‘focused’ on only one target. Tough times demand a need for a heightened sense of awareness, as a conscious marketer is a more effective one. Ask yourself how you react or respond to sticky situations. The marketing battlefield requires you to be an officer not a soldier. A wise man once told me that the future is not what it used to be. It’s no longer some distant idea or notion. In fact, so exponential is the rate of change that tomorrow will arrive very quickly indeed and you will need to be prepared. Years ago, when I was at Dell we had a phrase, ‘Don’t drive using the rearview mirror.’ It couldn’t be more true today. To be an effective strategic marketer in tough times I believe we need to harness the past and embrace the future. The social media and data revolution represent an irresistible opportunity. If you don’t relish the unfamiliarity and seize upon the uncertainty of this moment in time to make a difference, then find someone who does. Act today, plan for tomorrow. 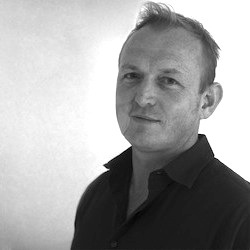 Duncan Wakes-Miller is chief marketing officer of Duncan Wakes-Miller Consultancy, a specialist marketing consultancy helping clients achieve distinctive, lasting, and substantial performance improvement. A pioneer of marketing strategy and digital innovation, Duncan has successfully managed some of Australia’s iconic brands through transformational change. His experience includes senior marketing and sales strategy roles at Dell Computer, Monster.com, 3 Mobile and the Australian Rugby Union and most recently as managing partner of one of Australia’s most progressive strategy and creative agencies.